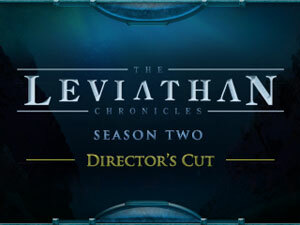 This week we continue the celebration of The Leviathan Chronicles – Season 2, an example of how fantastic science fiction audio drama can be when you combine great writing, a spectacular cast, and searing sound effects. MacAllan Orsel enters the shattered world of Leviathan as perhaps the only chance the community has of enduring an attack on their leader. But will the immortals trust her? Does she have what it takes to lead them? We get a sneak preview of Chapter 27, and then follow up with an interview with Leviathan Chronicles creator Christof Laputka and Sound Designer Robin Shore of Silver Sound.